Boat Detailing 101 This is a a general or catch-all forum group. If you don't know where to post it then post it here. I applied Captain's Boat Coating to my boat last December and it came out fairly good, but I'd like to re-do it this December to see if I can get better results. Is there any easy way to remove the old Captain's Boat Coating, or will something like Marine 31 Gel Coat Gloss & Color Restorer be required? Last time, I think I applied it too thick and I'm going to try and go sparingly this time. I also went thru quite a few Lake Country Coating Applicators as the Boat Coating seemed to get tacky on the Applicator and caused streaks. Send a private message to Venture Ho! Find More Posts by Venture Ho! 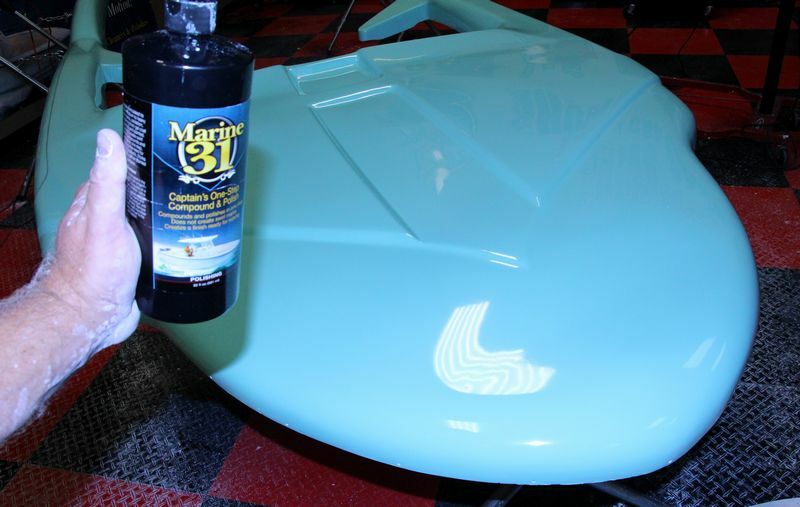 The best way to start over and make sure not only is all of the coating removed but also the gel-coat is prepped for a coating would be to re-compound or re-polish the gel-coat. I'd use the Captain's One-Step Compound & Polish with a foam cutting pad on a FLEX 3401 as this will remove the coating, remove any other defects and leave the surface with a high gloss finish. Then chemically strip to remove the polishing oils and then coat. Last year, I used Gel Coat Gloss & Color Restorer followed by Gel Coat Final Step Polish (with wool pads), but that was a lot of work. If I go with the Captain's One-Step Compound & Polish, will foam pads work as good or better than my existing wool pads? Originally Posted by Venture Ho! Yes but you want to stick with foam cutting pads. I'm not sure why but gel-coat doesn't like soft pads when polishing. From what I've seen, soft foam pads can even dull down the gloss created by wool pads or foam cutting pads. I like the Lake Country blue 6.5" Hybrid and the blue RUPES 6" or 7" foam cutting pads. I have a couple of the Lake Country blue Hybrid pads (6.5" and 3"), so I'll go ahead and order a few more. Just to make sure - I should use these with a DA polisher (I have a Griot’s 6"), and not a rotary (like I use with the wool pads)?? How does the Griot's compare to the FLEX 3401? Sorry for the delay in getting back to you. Last week I was at SEMA and I'm just today returning to work. It's possible the Griot's will be able to maintain pad rotation with the LC blue Hybrid pads as it has a lot of power. As for the difference between the Griot's polishers, (all of them), and the FLEX 3401? The Griot's are all FREE SPINNING orbital polishers. The FLEX 3401 is a GEAR DRIVEN orbital polisher. So it's comparing apples to oranges. You CANNOT stop the pad from spinning or oscillating with a FLEX 3401. Impossible. 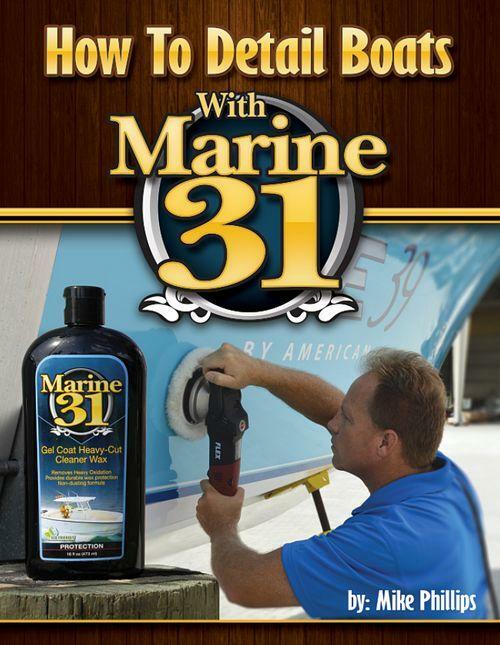 So that's the difference and that's why all the way through my boat detailing book I strongly recommend anyone detailing boats for money of for the value of their own time get a FLEX 3401 - it's simply the best boat buffer on the market. This is alway why I featured it on the cover of my boat book and not any of the other tool options on the market. I have a Griot’s 6"
What size backing plate do you have on the Griot's 6" DA Poliseshr? It comes with a 6" but there's a 5" available. The coarse blue RUPES pads. The blue work great with the Captains Compound and rotate very well on the Griot's 6" DA polisher. The 7" pad fits the Griot's 6" backing plate and the 6" pad fits the Griot's 5" backing plate. Thanks Mike. I have a 6" and 3" backing plate (but need to order a new 3" plate as my current one is pretty beat up). I'm just doing the inside of the boat so I need a small pad (3" or 4") to get around the tight spaces and a large pad (6" or 7") to do the sides. Would you recommend the blue RUPES over the Lake Country blue Hybrids? Hope to get an order in this week. Looks like I just missed the pre-Thanksgiving sale. Got any other sales coming up soon? When it comes to compounding and polishing they work about the same. I'd give the edge to the RUPES pad.